Providers have single sign-on access, meaning they pass seamlessly from other applications directly into the SnapMD platform—eliminating the need to re-enter credentials. High-definition video enables robust patient encounters. SnapMD’s dynamic video capabilities ensure patients get the same quality of care as an in-person visit—simply, safely and securely. 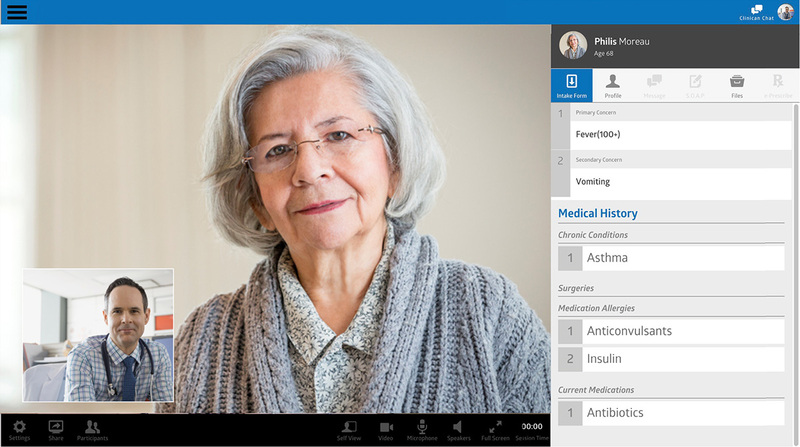 Powerful features and functionalities help providers extend their ability to reach patients and achieve efficiencies. From plug-and-play diagnostic devices to easily accessible encounter documentation, from shared file viewing to enhanced collaboration between physicians and care teams, the SnapMD platform simplifies and empowers the provider’s workflow.